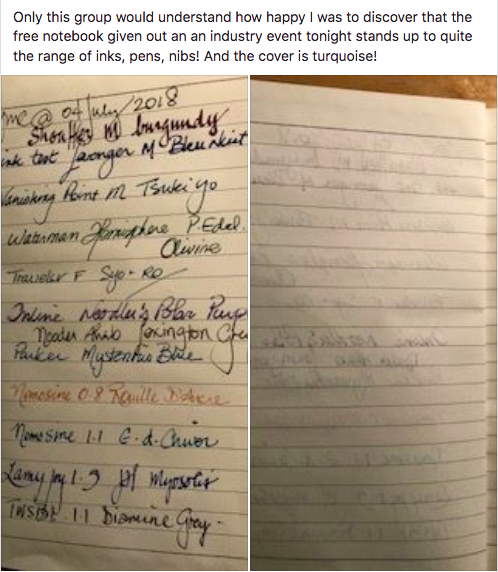 Since it’s creation almost 1 year ago, our Facebook group, Goulet Nation, has grown into a large, diverse, fun group of fountain pen fans from all over the globe. It’s been quite thrilling to see how this community of people has developed its own identity and rhythm that is unique to the Nation. 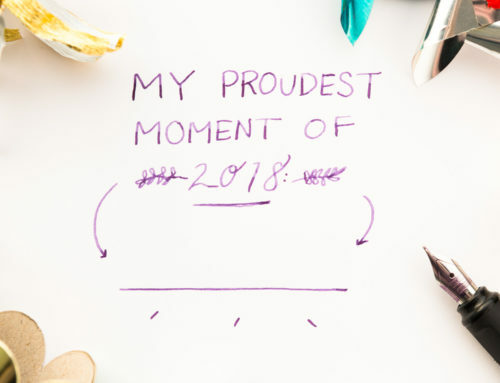 With its population nearing 11,000 members, we thought it would be fun to share some of the entertaining things that have happened in the group over the past year so that more of our audience could feel inspired to become a part of this fantastic group. 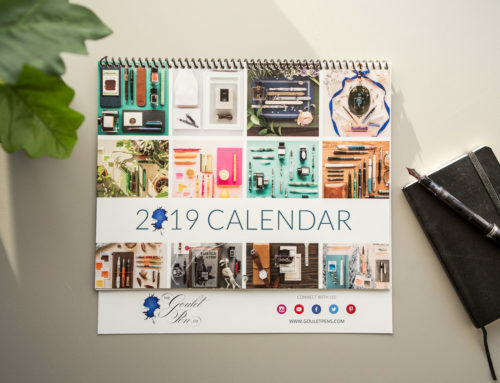 Your pens become just as much a part of your wardrobe as your clothing and accessories, so why not make a habit of coordinating them into a complete look? A few members of the nation did just that and it resulted in some creative pairing and an entertaining assortment of photos. 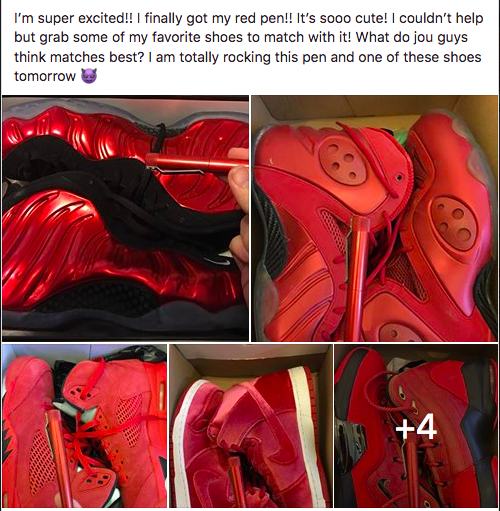 A search for Hector’s posts will reveal a wonderful rainbow of these pen and shoe pairings! 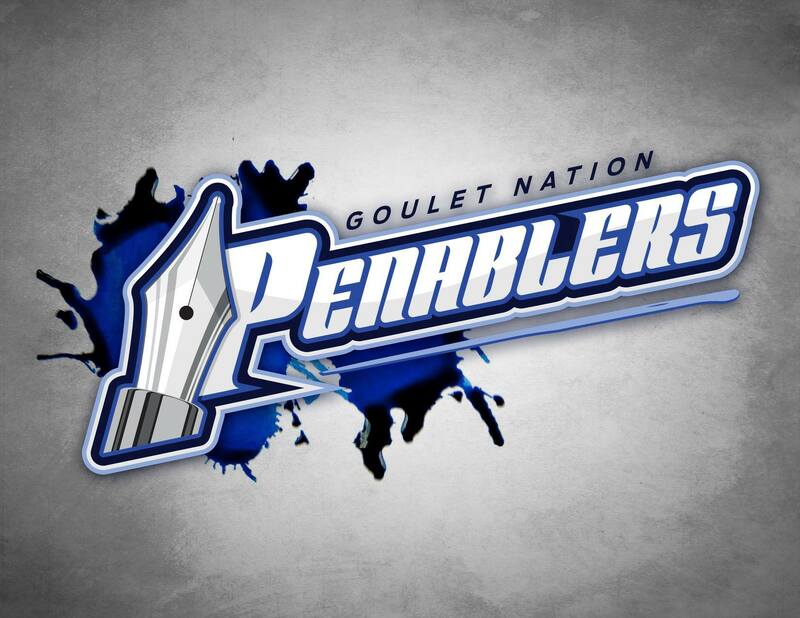 There are quite a few very talented folks in our community and Goulet Nation has proven to be the perfect place to share those talents. 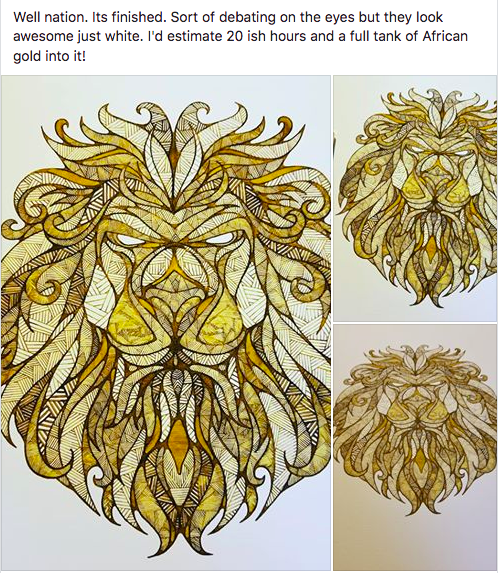 The Nation is very welcoming and excited to shower praise on anyone willing to share their artwork in the space of the group. 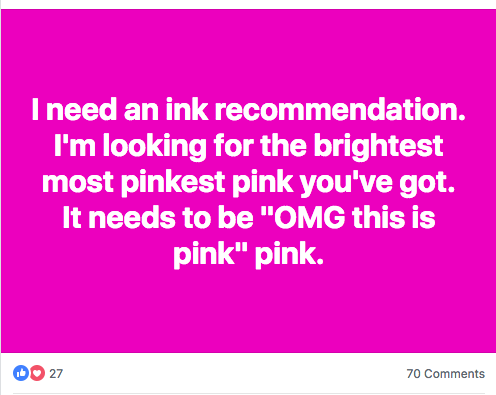 It is a great way to see inks in use and the astonishing variety of colors you can achieve with them. 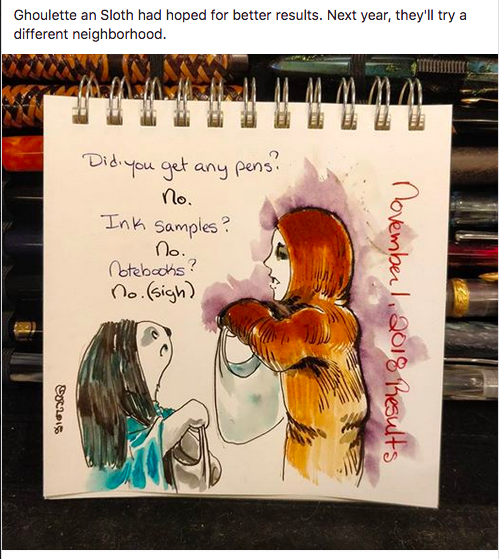 Crystal’s post above shows a perfect example of how the community included their pens in their other hobbies throughout the day. 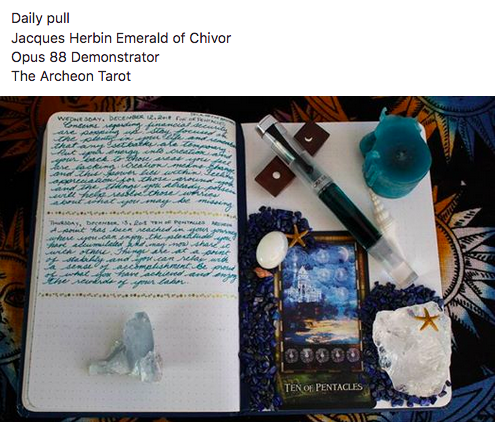 We see many wonderful journal spreads, pens being used during game nights, and various other fascinating hobbies we may not otherwise know about. 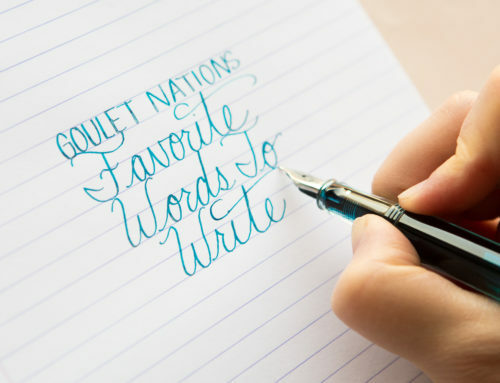 The Goulet Nation always offers something new to learn about. 4) Exclusive Discounts and Giveaways! 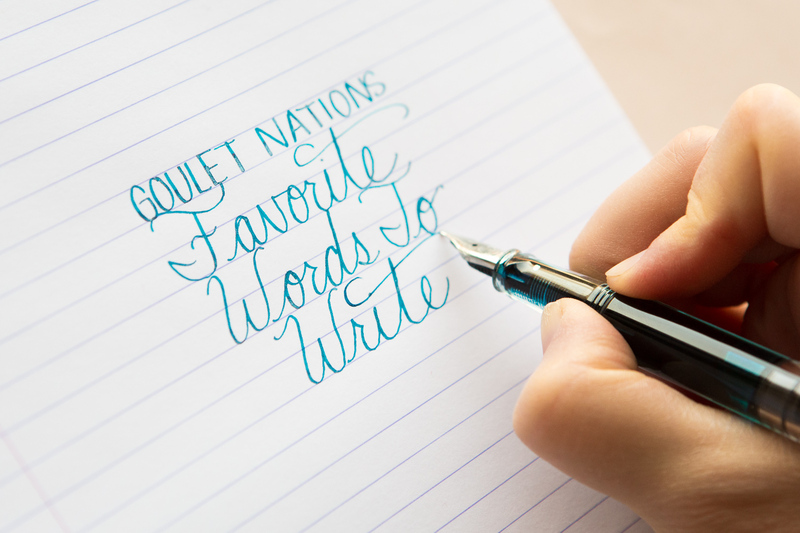 The Goulet Nation is a very special place and we at Goulet Pens like to recognize that from time to time. You never know what coupon codes, exclusive giveaways, or first sneak peeks you might find in the Nation. Be sure to join so you can see what we’ll be offering next! 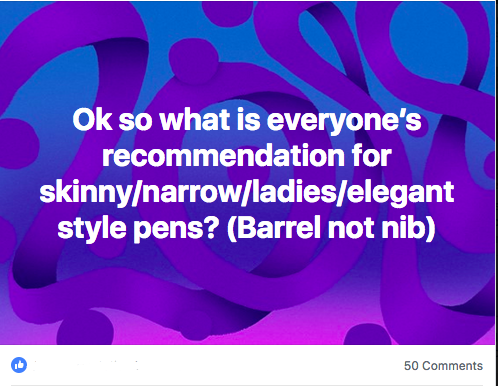 One of our favorite posts to see on the Nation is the requests for product recommendations. 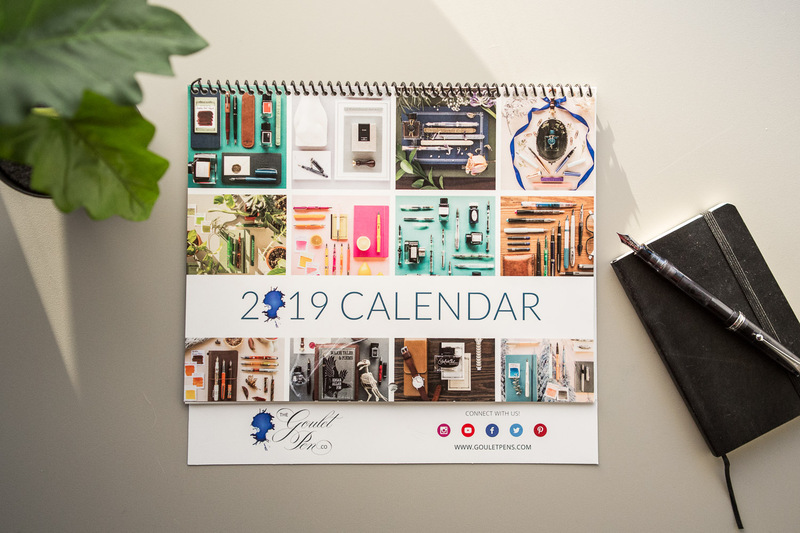 The hive mind of the Goulet Nation is a fitting place to go when in need of a pen, ink, paper, or any other type of suggestion to further enhance the fountain pen experience. There’s always someone that’s happy to answer! 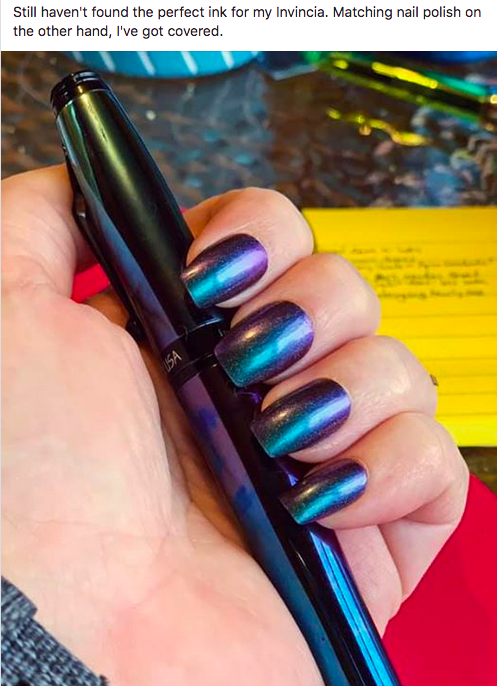 Another fun source of entertainment for the fountain pen community is spreading the love of pens to new people. 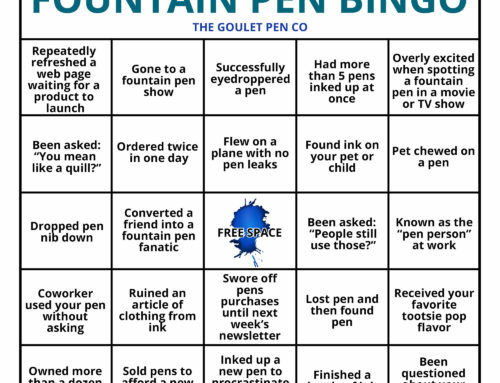 There are always new posts being shared in Goulet Nation regarding friends, relatives, and even complete strangers catching the fountain pen bug from one of our Nation members. And the final favorite part of the Goulet Nation experience is witnessing the joy of community building. 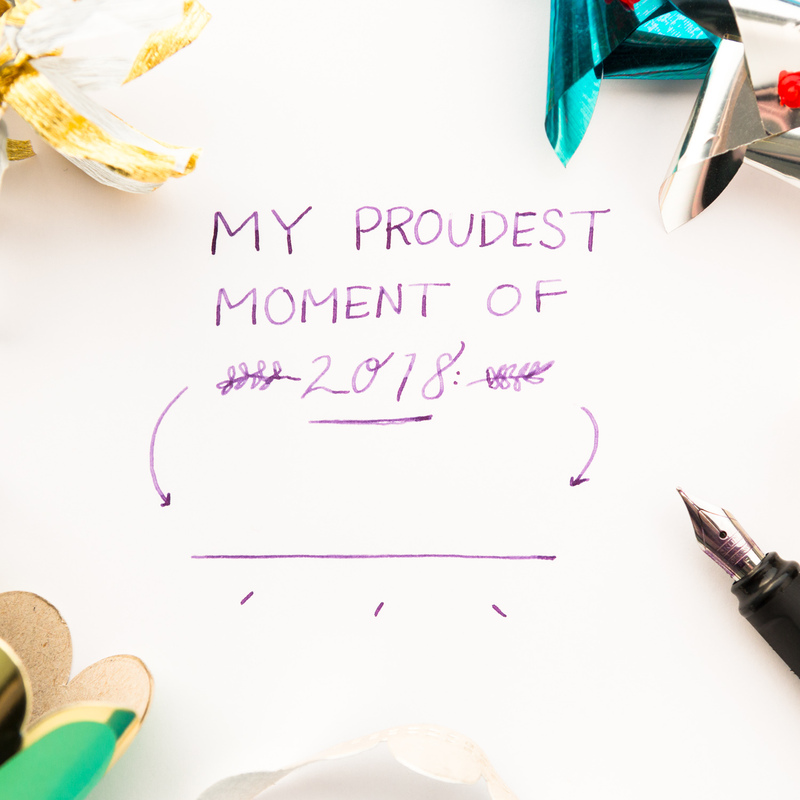 It is such a wonderful feeling to know that there are thousands of people out in the world who understand your excitement, joys, and frustrations. 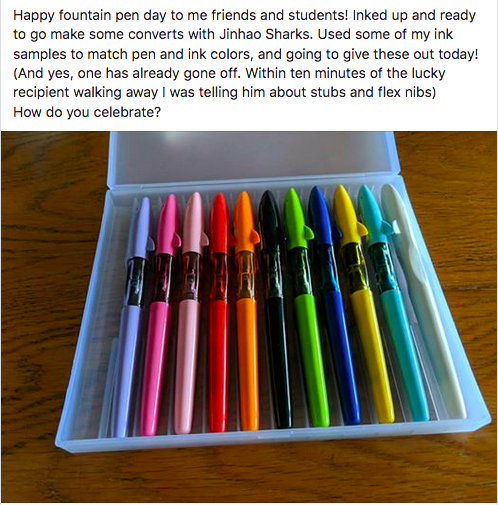 It’s especially meaningful if no one in your every day world is a fountain pen fan as well. 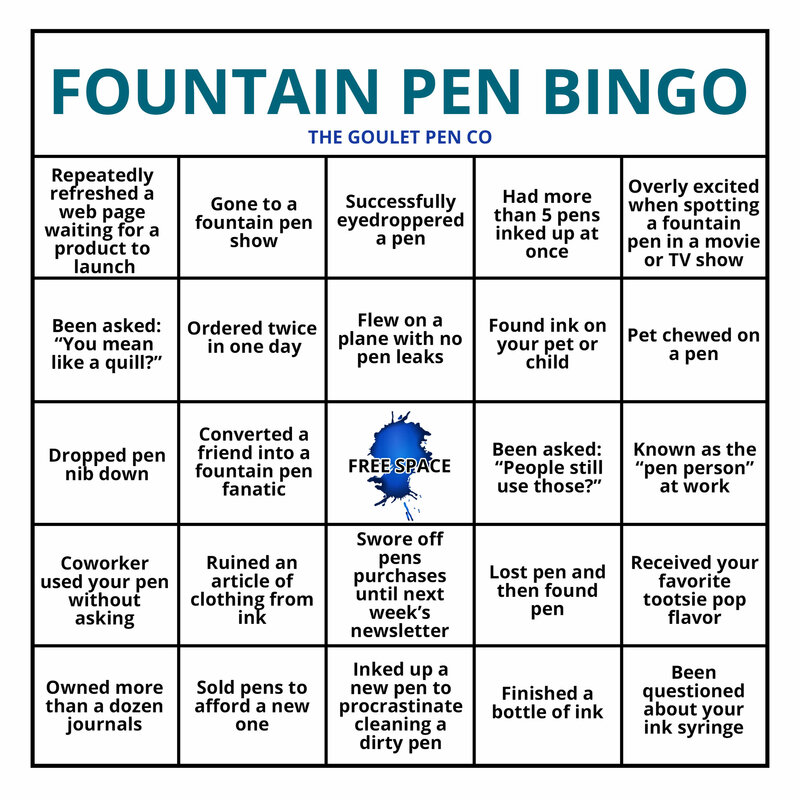 This is a situation some of the Goulet Nation can attest to. 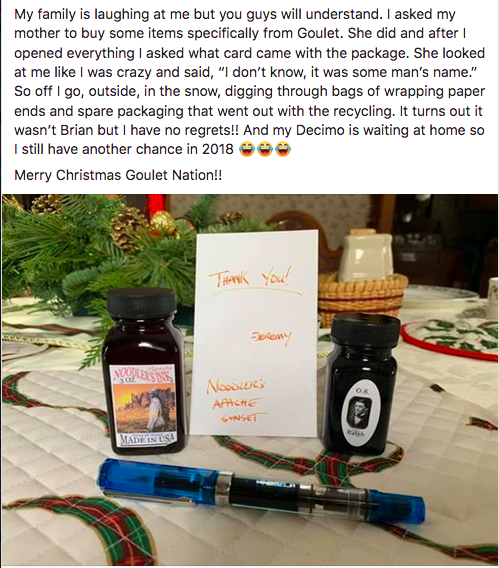 The connections and mutual acceptance and understanding that are shared amongst the Goulet Nation are so heartwarming and quite unique. 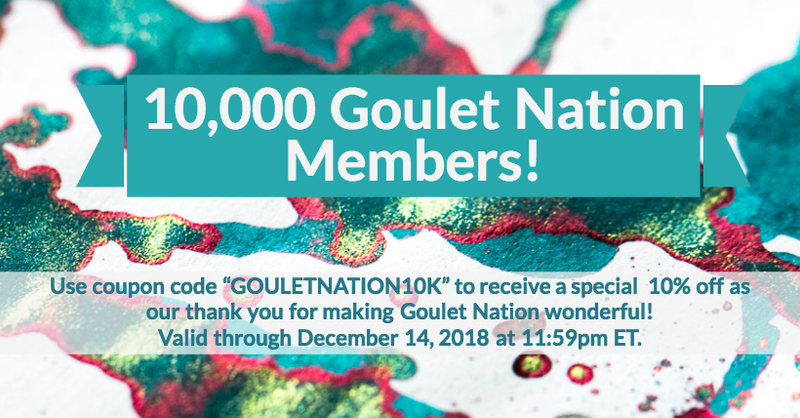 If you have any questions about the Goulet Nation or want to learn more, we’d be happy to help! Leave us a comment below or reach out to us on Facebook!